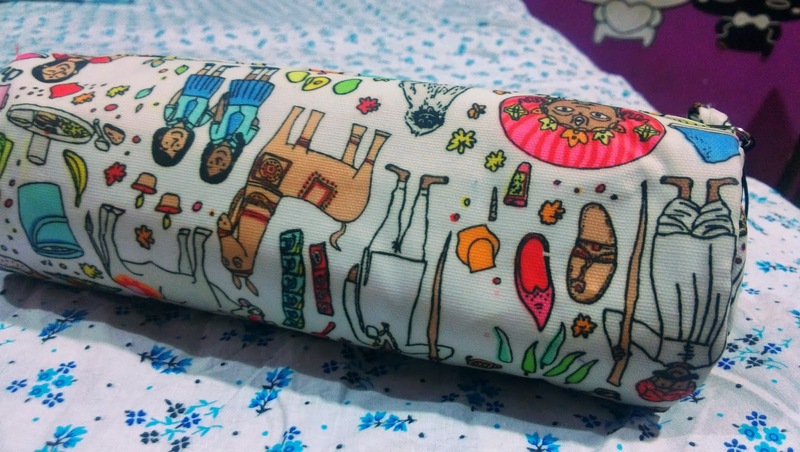 My best friend, Prajakta, came over to my house, the other day, and showed me her pencil case/pouch. And I went all 'Oh-My-God' over it. Pouches from Chumbak are really very adorable. They have all the Indian stuff on them, which is indeed very cute. My friend bought this for 300 rupees. The pouch is blessed with softness from outside (it is spongy). 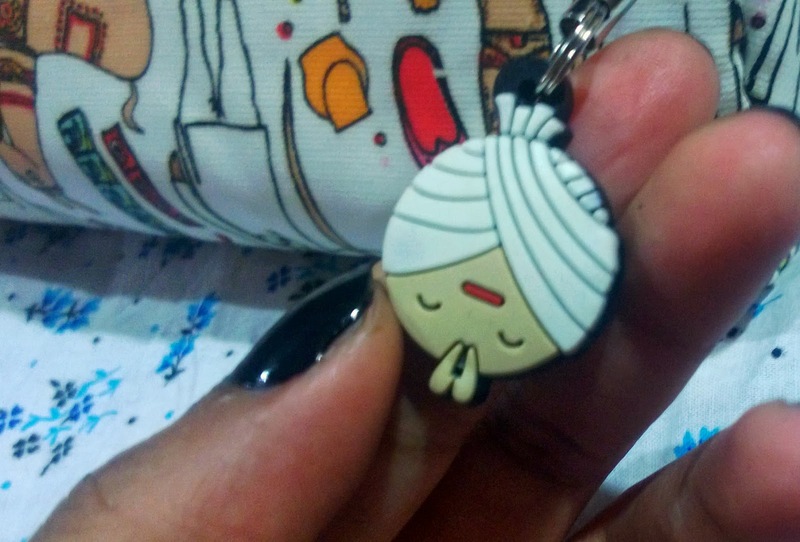 This is a guy with Turban or a Pheta, giving the pouch a cuter look. There is ample of space inside. 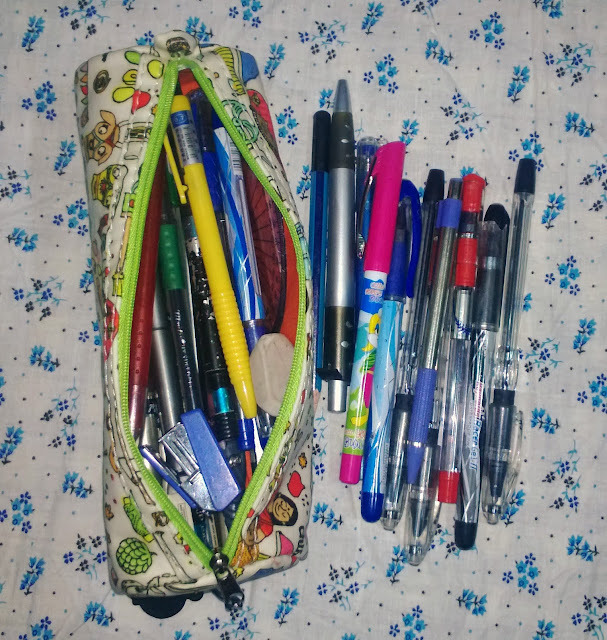 She had almost 40 + things kept, with lots of pens, pencils and other geometrical things. This pouch is a must buy. 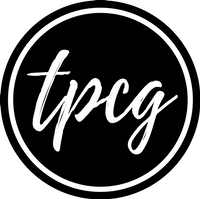 How are your pencil cases/pouch?